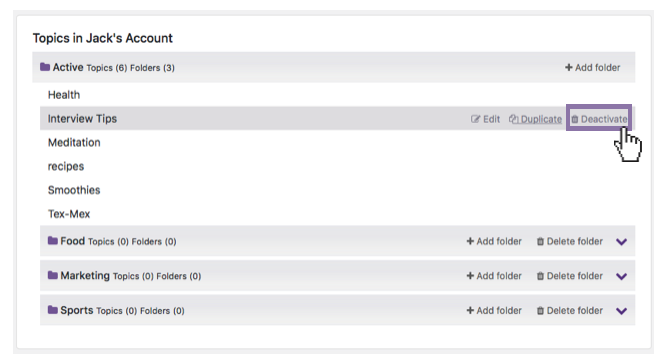 Topics can be deactivated and reactivated depending on your preferences. 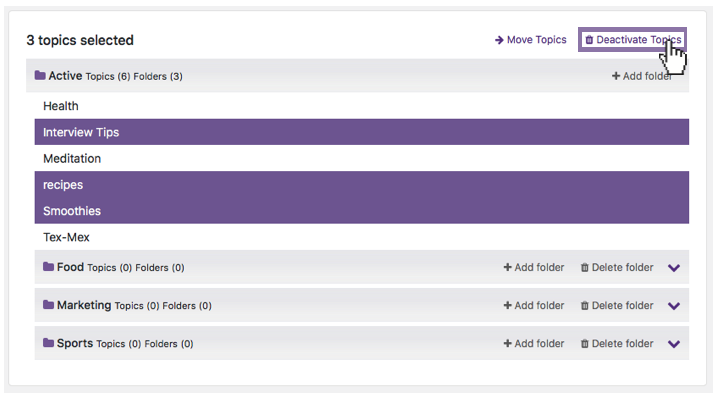 Click into the topic management screen by either clicking on "Manage" next to the topic list on the side-bar, by clicking into the topic drop-down list and selecting "Manage My Topics" or by clicking on the account name and clicking "Topics". 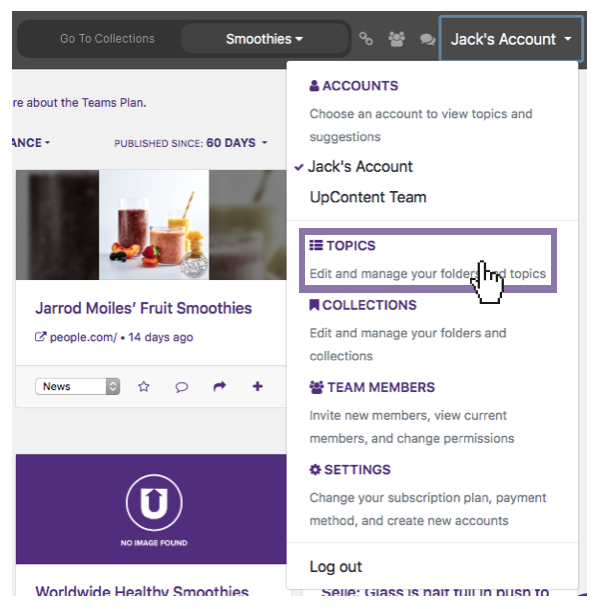 Then, hover over the appropriate topic and click "Deactivate"
You can also deactivate multiple topics at a time by selecting the desired topics, and then clicking "Deactivate" at the top of the management view. After 6 months without being accessed, topics will automatically become "deactivated". What this means is that instead of automatically looking for new results twice a day, deactivated topics will stop actively looking for new results. This is done to free up system resources for faster and more stable performance for active topics. 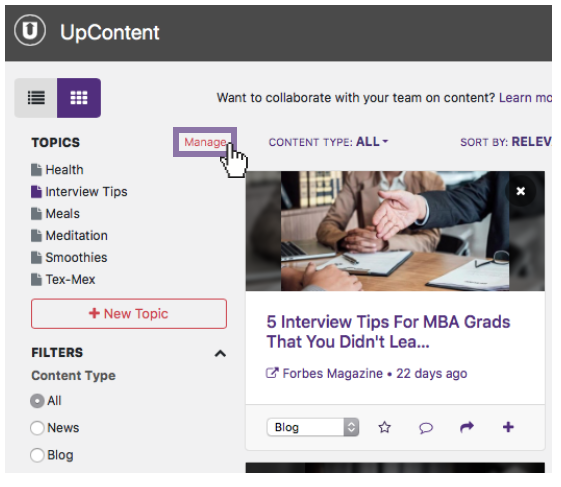 Once your topic has been reactivated, it will automatically search for new results, and begin searching twice a day once again. You want to create additional topics on the Personal Plan. The free Personal Plan allows for one active topic at a time. 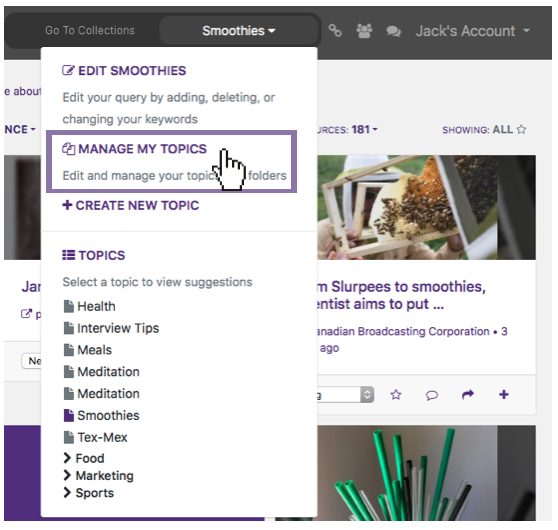 If you want to create additional topics, you can do so by deactivating topics. You don't want to see the topic, but you don't want to lose it. If there is a topic you no longer want to see in your topic list or folders, you can deactivate it so that it no longer appears. The topic criteria will not be lost, so if you want to access it, you still can.